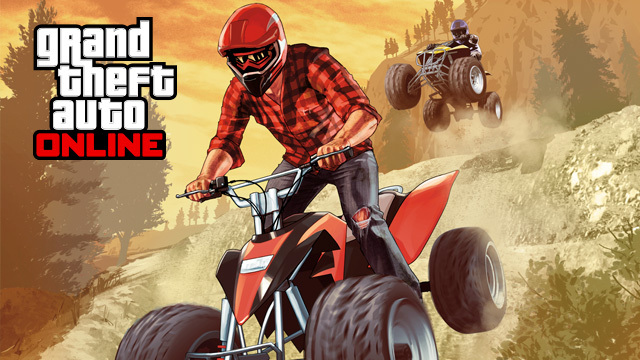 GTA Online Title Update Available Now on Xbox 360 and P..
Rockstar Games just announced that the highly anticipated title update for GTA Online is available to download right now on Xbox 360 and PlayStation 3. Fastest title update ever! Should you continue to experience any other technical problems with GTA Online, please report your issues at the Rockstar Support website where you can subscribe to the GTA Online Launch Status Rockstar Support article or to specific other Support item tickets for automatic updates. You can also report your issues to Rockstar Support on Twitter. Additionally, if you have any constructive gameplay feedback you'd like to share with us, please send it to our GTAOnline@rockstargames.com address where we're actively looking at what you're enjoying in the game so far, along with any suggestions you have for improving the experience. For more exclusive Grand Theft Auto Online gameplay, videos, tips and everything else Grand Theft Auto V make sure you visit our Xbox 360 Games database and our official 360-HQ YouTube Channel.